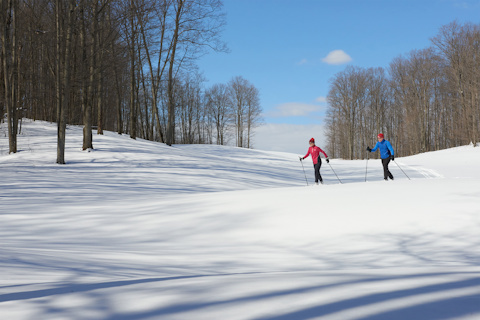 Winter Trails Day offers children and adults new to snow sports the chance to try snowshoeing and cross country skiing for free, and to discover the great fitness and social benefits with these easy-to-learn winter sports. Trail head Clinics will be going throughout the afternoon. Please call the Kinlochen Pro Shop to register, ext. 4000.